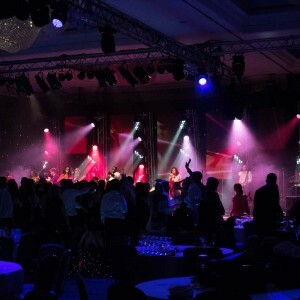 For yet another year Sway Allstars Orchestra were invited back to get this annual event. 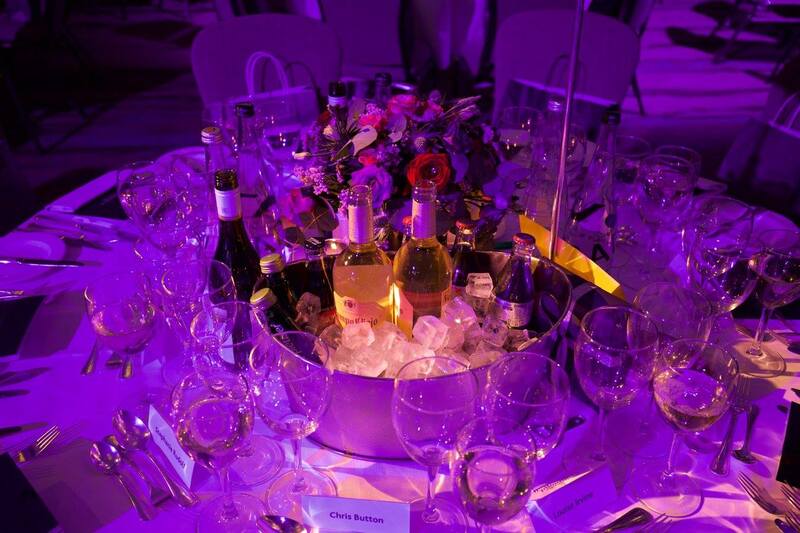 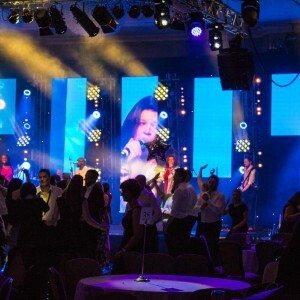 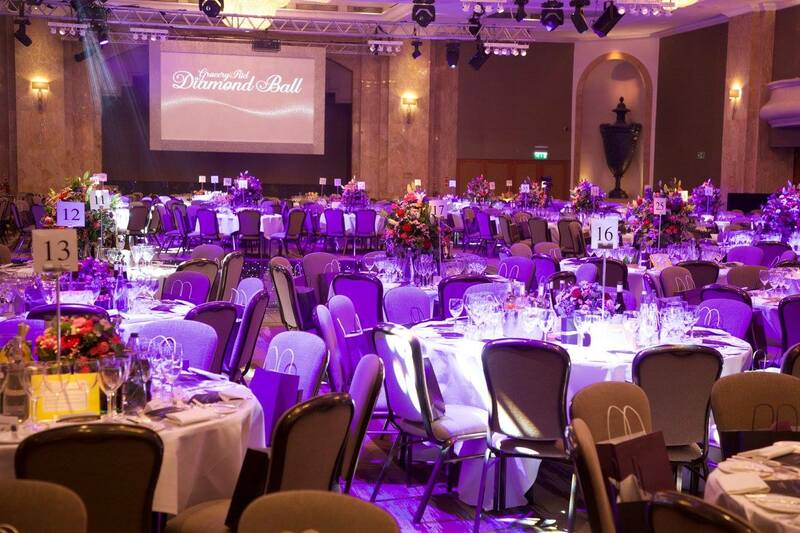 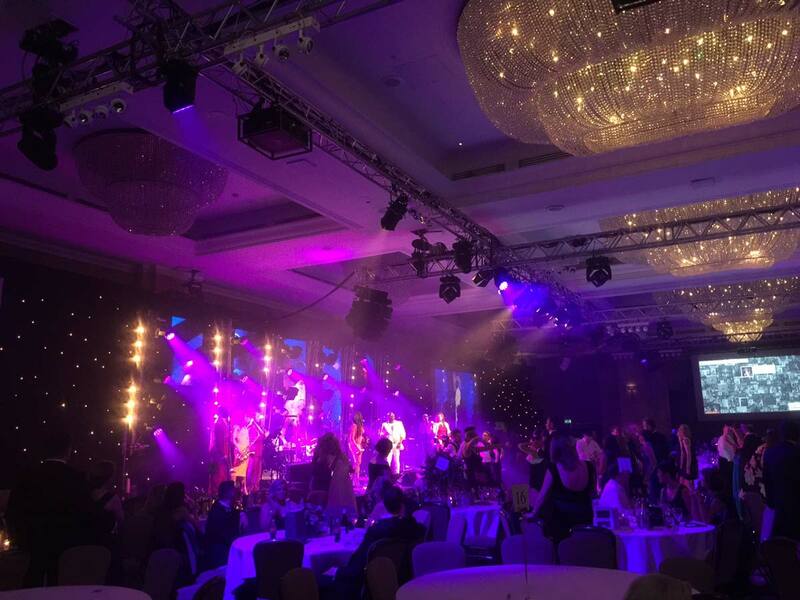 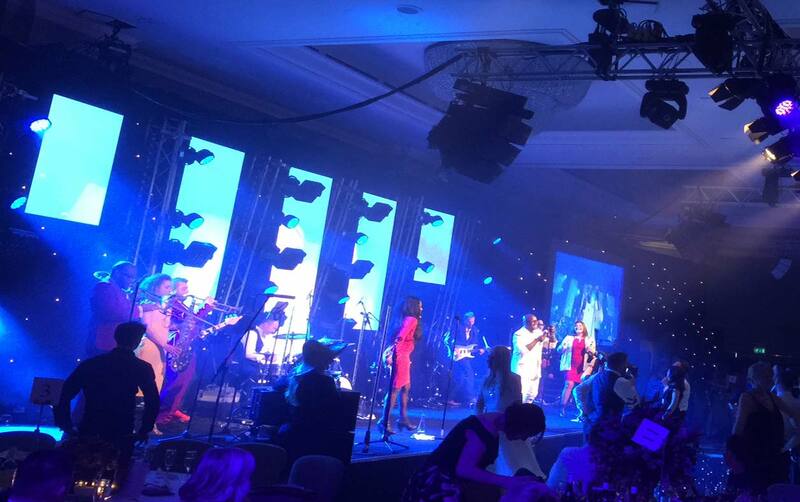 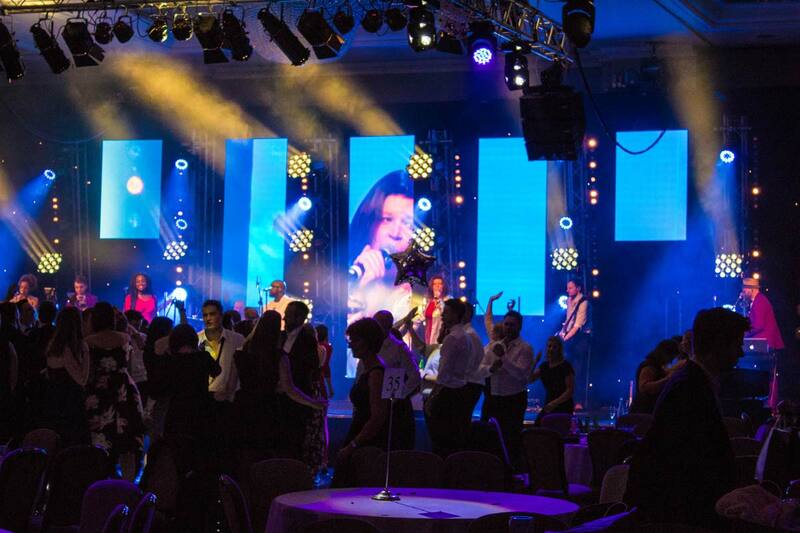 Grocery Aid’s Diamond Ball, held at the Hilton in Park Lane, London is always an amazing evening and this year was no different with over £235k raised. 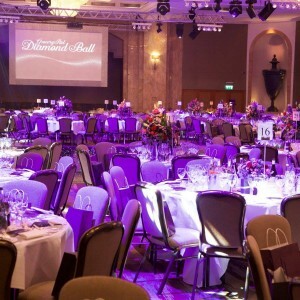 The Diamond Ball was attended by key industry figures in the world of grocery, with the welcome speech given by President of the Fundraising Committee, Andrew Moore, Chief Merchandising Officer at Asda. 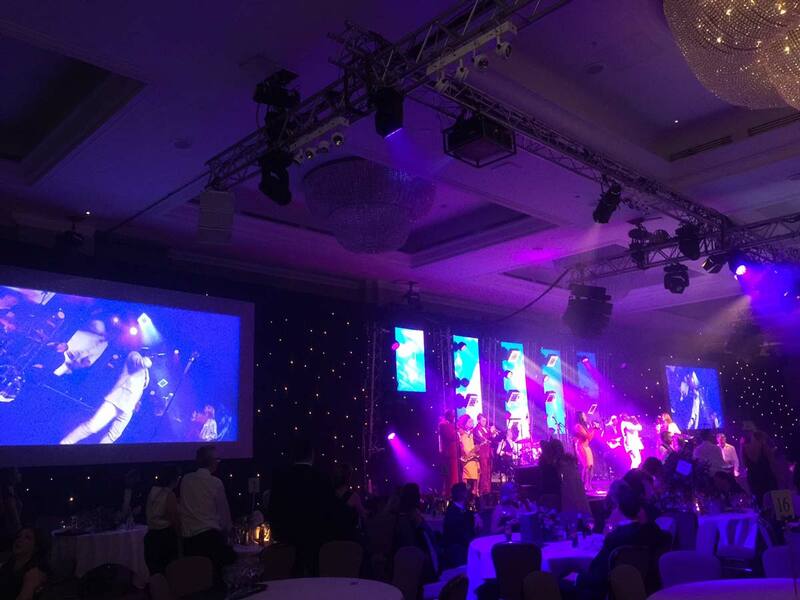 During the evening, GroceryAid recognised the contribution of volunteers who have given their time for at least ten years to help the charity in its work. 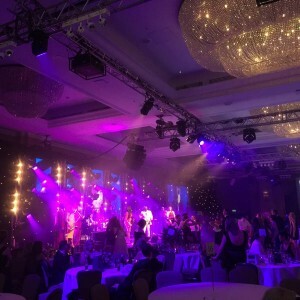 The GroceryAid Hall of Fame is the charity’s way of saying thank you to all these committed volunteers who come from all areas of our industry, and without such individual assistance the charity would not be as healthy as it is today. 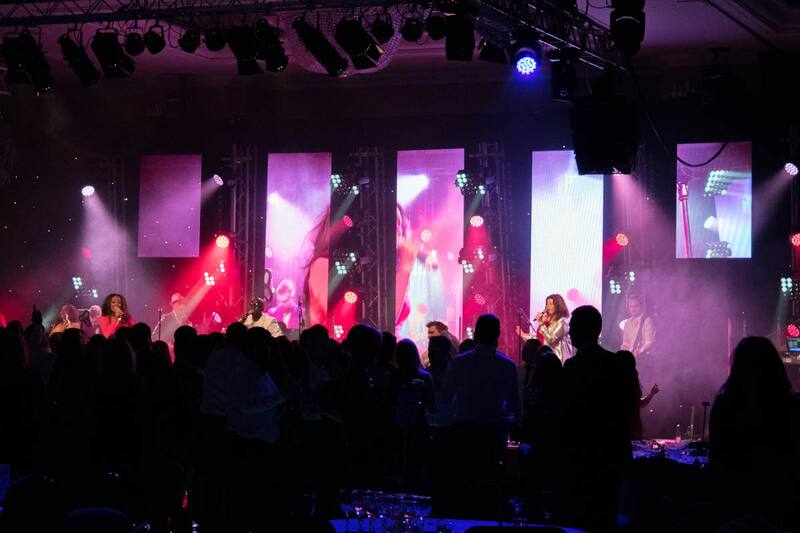 Then Sway Allstars were preceded by two amazing bands: The Soul Brothers, featuring our very own Jai Amore as well as Frankies Guys, a four piece set paying tribute to the great Frankie Valli. 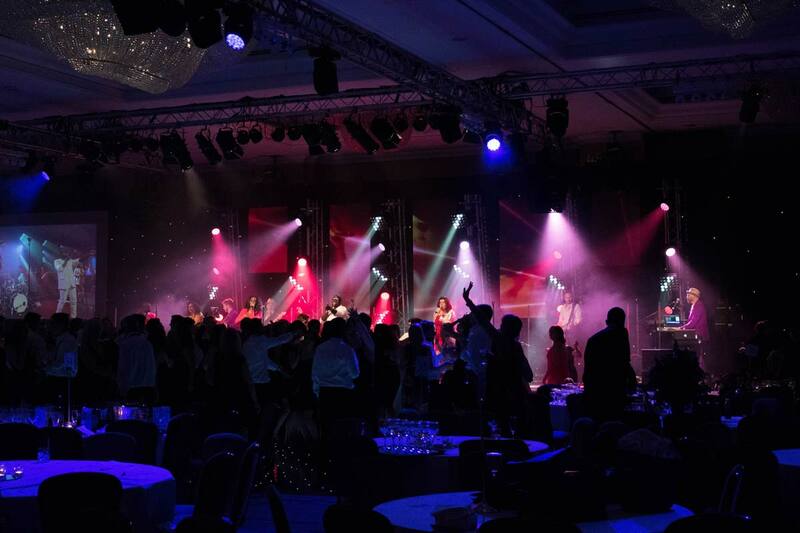 We came on to finish the evening in style, playing a medley of songs, guaranteed to get everyone up and dancing for the rest of the night. 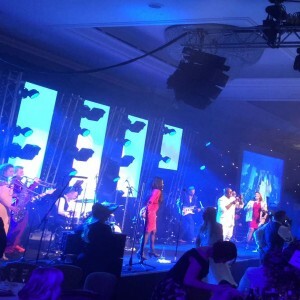 We had our popular 10 piece band line up, including Angela Brooks, TJ Davis and Mark Harrison on vocals. 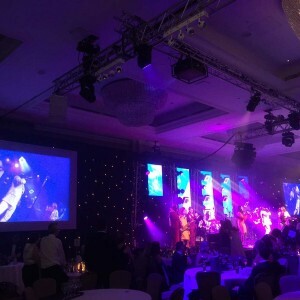 David Brooks, Nick Owen, Stuart Anning and Richard Cole were rocking the stage at the back, as well as Jackson Mathod, Steve Fuller and Yasmin Ogilvie, to really complement the band. 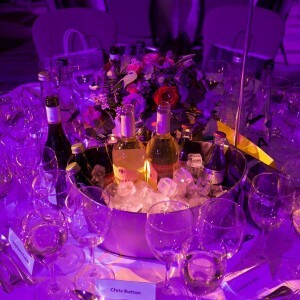 Phew what a fantastic playlist and boy did it go down well with all the guests! 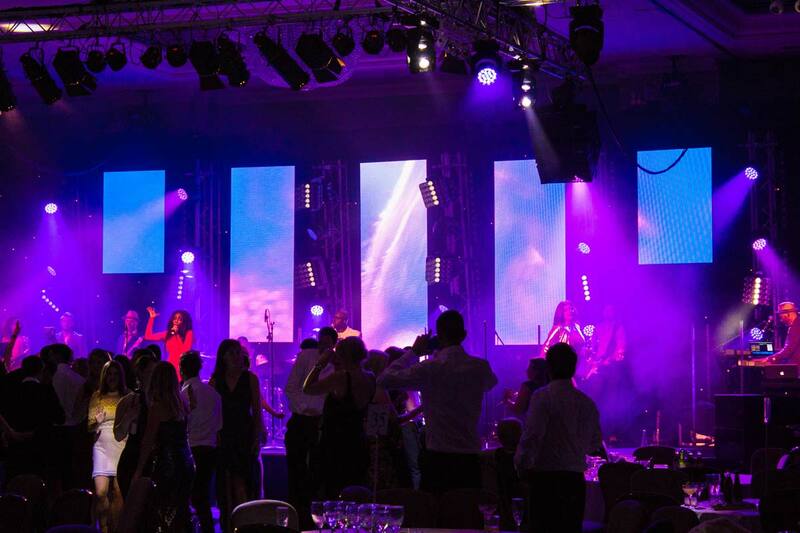 If you have a corporate event and are looking for entertainment, then please get in touch. 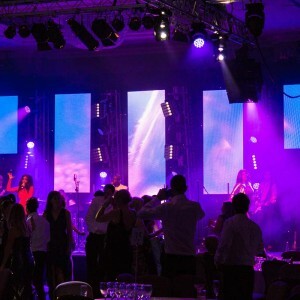 We work throughout the UK as well as abroad, entertaining at weddings, festivals, parties and corporate events. 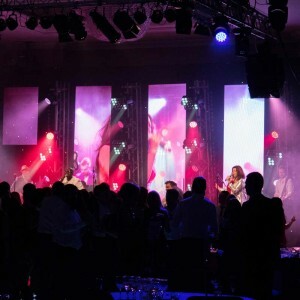 Having already played at some extraordinary locations, we would love to try out some more!